CO2 laser skin resurfacing precisely removes the outer layers of damaged and aged skin to reveal the underlying layer of beautiful, smooth, and younger looking skin. The EQUINOX CO2 Fractional Laser we use offers a superior solution for rejuvenating and resurfacing the skin. CO2 laser skin resurfacing precisely removes the outer layers of damaged and aged skin to reveal the underlying layer of beautiful, smooth, and younger looking skin. 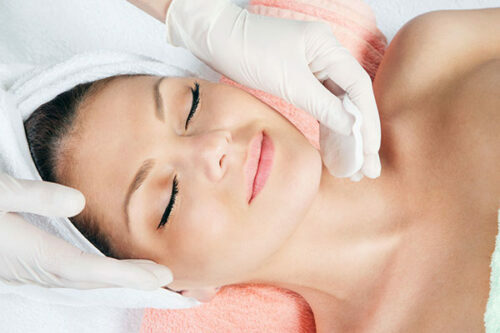 CO2 laser technology is the most commonly used skin resurfacing procedure today. The latest CO2 laser resurfacing technology of the fractional variety uses beams that are scattered or pulsed at a very rapid rate. 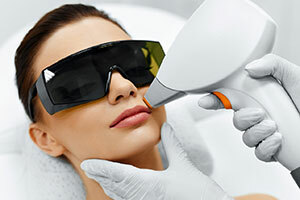 This method minimizes the exposure of heat that your skin undergoes during treatment, which allows a higher power CO2 laser to be used to reach deeper tissue and more pronounced creases and wrinkles, while reducing the heat damage to which skin could be exposed. A significant benefit is the decreased recovery time. 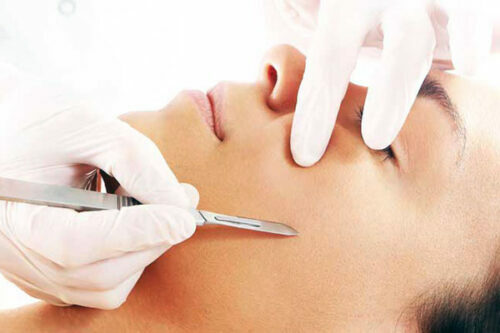 Benefits of CO2 laser skin resurfacing include deeper scar and damaged tissue removal. By removing the damaged outer layer of skin, CO2 laser skin resurfacing treatment can slow down and reverse the process of aging. 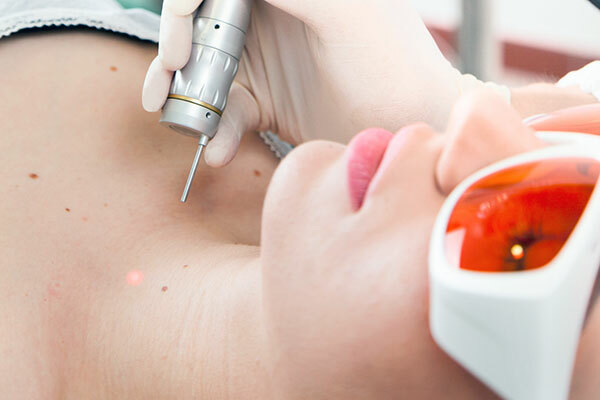 Further CO2 laser benefits include the effective treatment of uneven pigmentation, precancerous spots, photodamage, and many other skin imperfections and benign lesions. The CO2 DOT FRACTIONAL laser offers optimal delivery of thermal energy to the epidermis and upper dermis with a pattern of laser light causing minute perforations in the epidermis while leaving the surrounding skin intact. The result is quicker healing and less patient discomfort as the patient’s own collagen works synergistically with the procedure to rebuild collagen which effectively tightens loose skin and large pores, giving a more youthful appearance within weeks and continued improvement over time as collagen continues rebuilding. Spa Bella Medispa has hand selected the EQUINOX CO2 Fractional Laser System for premium results. The EQUINOX CO2 Fractional Laser offers a superior solution for rejuvenating and resurfacing the skin. 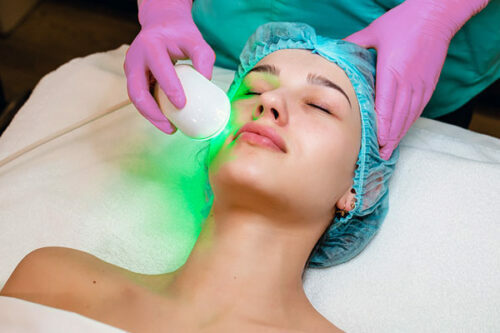 This fractional laser can be used effectively to treat fine lines and wrinkles, acne and surgical scars, skin pigmentation and discoloration, sun damage, pre-cancerous as well as benign lesions and uneven skin texture. The Eclipse EQUINOX CO2 laser enhances the laser technician’s skill to deliver dramatic, visible improvement in a single treatment. EQUINOX can resurface compromised or damaged skin in order to provide rejuvenation with excellent improvement of fine lines and wrinkles, acne, surgical scars, skin pigmentation or discoloration, sun damage, pre-cancerous and benign lesions.